Save the Date for The STAY Project's Appalachian Love Week! The Stay Together Appalachian Youth Project will be invites you to join us February 12th-18th to celebrate our 3rd Annual Appalachian Love Week Fundraiser. 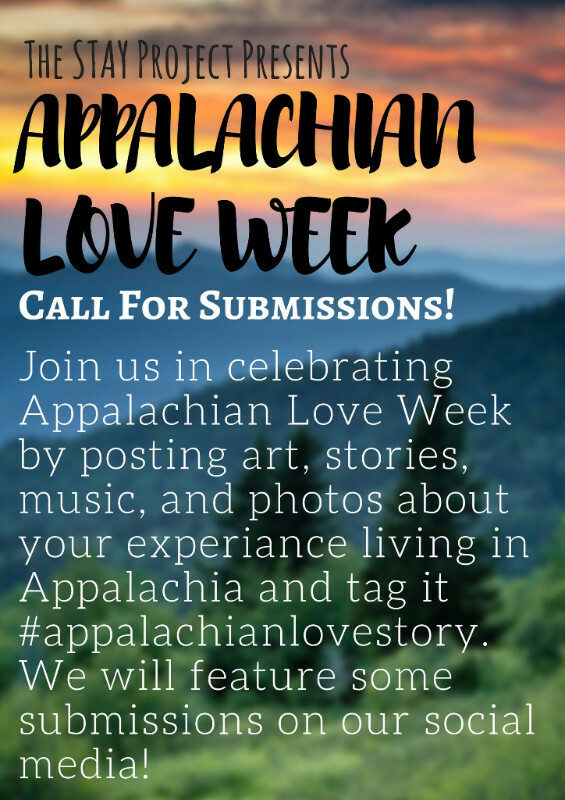 Share your #AppalachianLoveStory with us and donate to be a part of building and supporting an intersectional youth movement in Appalachia. 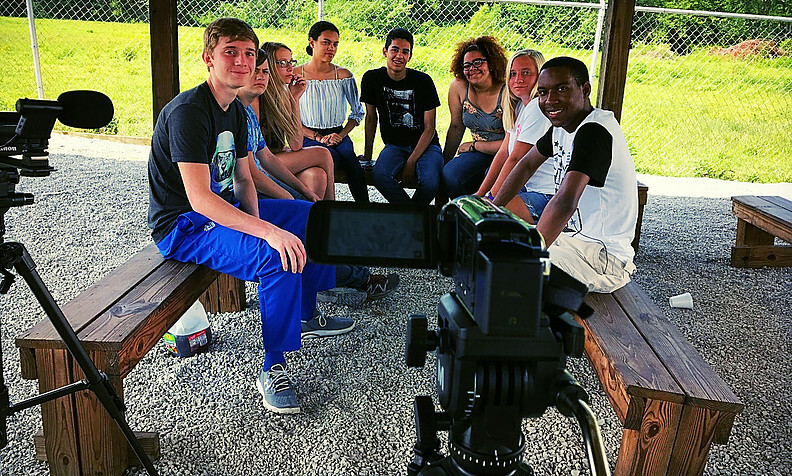 New York City youth from the Educational Video Center live, learn, and make documentaries and a website together with rural youth in Appalachia’s Clearfork Valley community of East Tennessee. Turning their cameras on systemic issues including the opioid epidemic and the right to broadband access, they learn how interconnected their urban and rural communities really are. To watch their films visit the We Are All Connected website. Be sure to check out the article in the Lafollette Press about the projecthere. 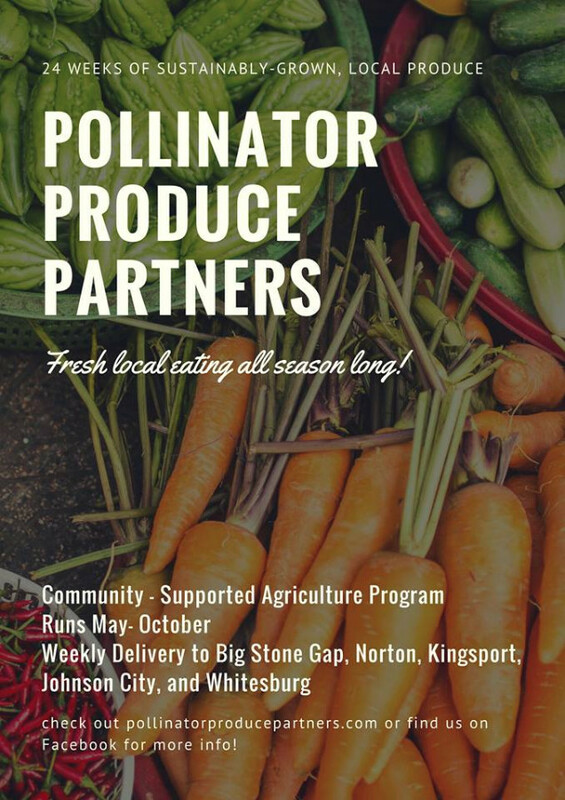 Come enjoy free supper, live music from Tug River Troubadour, Glen Simpson, and a workshop by Emily Lachniet of Appalachian Sustainable Development and Tanner Filyaw with Rural Action, who will speak about resources to help folks earn money in the sustainable harvest and cultivation of ginseng, yellow root, and other medicinal herbs. Learn morehere. Knoxville, TN: Carpetbag Theatre presents Nothin' Nice, the story of a young man forced to confront issues of environmental racism and its impact on his family and community. Purchase your ticket here. Southern Movement Assembly General Assembly Call 6pm. More Info TBA. Knoxville, TN: Free Rural Area Medical Clinic. This clinic runs from January 31st - February 4th. 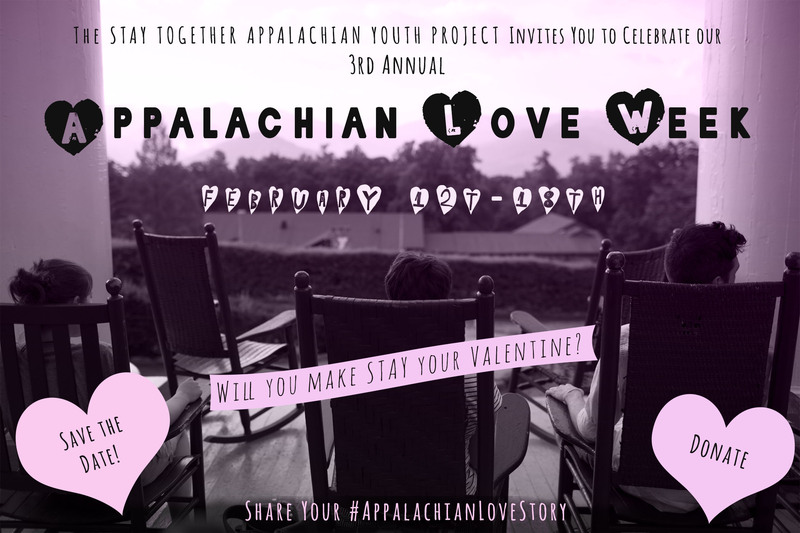 Appalachian Love Week: The STAY Project's 3rd annual Valentines Day Fundraiser! Make STAY your Valentine by making a donation or sharing your #AppalachianLoveStory on Facebook, Instagram or Twitter. Knoxville, TN: Queer People of Color Discussion Group & Potluck at the Birdhouse. IMPORTANT: This space is an autonomous space for queer folx of color, please respect that space. Thank you!Learn more. Beckley,WV: Fight for Birth Control! Are we missing an event that is happening in your area? Let us know and we'll add it to the calendar!